Kashi Cereal Single Cups only $0.66 each! 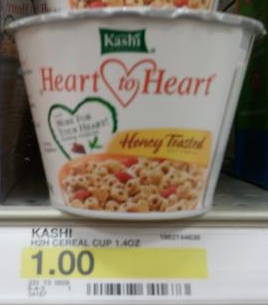 Bring this coupon to Target to get a nice deal on Kashi single serve cereal cups! = 3 for $2, or $0.66 each! Thanks for the pic, Triad Couponing!